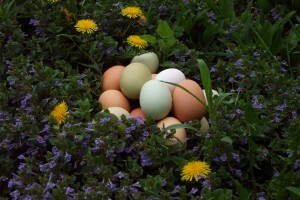 Cowberry Crossing Farm Eggs are perhaps our most sought after product. We regularly sell out of these at the farmers market. 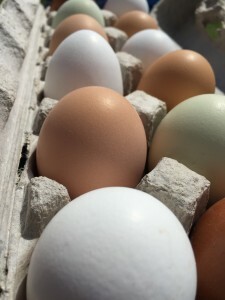 Our customers really enjoy the variation in color and size of our eggs. Some of these eggs are very big. This is because our layers are not culled after they have passed their prime in egg production. The mature birds live out a full life. Consequently, we get larger but fewer eggs from them. Our layers receive only organic, soy-free grain and farm scraps and can supplement their diet as they see fit while wandering the farm freely all day. The chickens make a very big contribution to the farm by helping to keep the insect population in balance. Customers often wonder why we don’t have eggs all year. Eggs are actually a seasonal food. Chickens are very connected to light. Hence the rooster crowing at dawn! 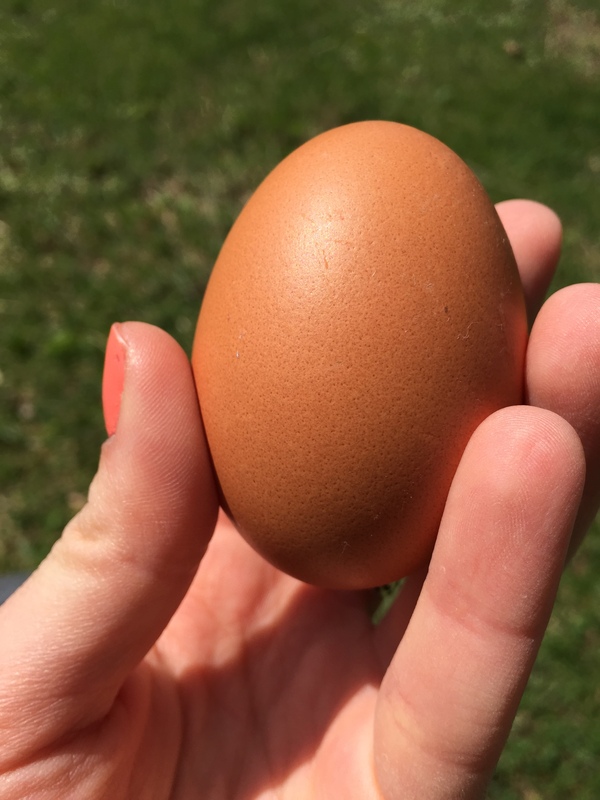 Chickens naturally follow a cycle where they will lay more eggs as the days get longer, the height of production being the summer solstice, and slow down their laying as the days get shorter. If we wanted to have year-round eggs, we would do what most egg producers do: trick the chickens by using artificial lights to extend the photo period. Obviously, this treatment interferes with the natural cycles of the birds. Are there health consequences associated with this kind of treatment? We won’t use artificial light as we believe that the healthier bird lives as closely to its natural rhythms as possible. A healthier bird makes a healthier, delicious egg!